The APEC Business Advisory Council of Papua New Guinea (ABAC PNG) has successfully co-hosted a major ABAC Digital Innovation Forum with ABAC Chinese Taipei, held at the Taipei International Convention Centre on the 19th and 20th of July 2018. The Forum was a major success with over 2,500 attendees and nearly 40 distinguished speakers from around the world, including his Excellency, Toomas Hendrick Ilves, former President of Estonia, Jimmy Wales, Founder of Wikipedia, Geoffrey Prentice, Co-founder of Skype, David Rowan, Founding Editor in Chief of Wired UK, Phil Libin, CEO of AI Turtles and former CEO of Evernote, as well as the World’s First Android Citizen, Sophia. 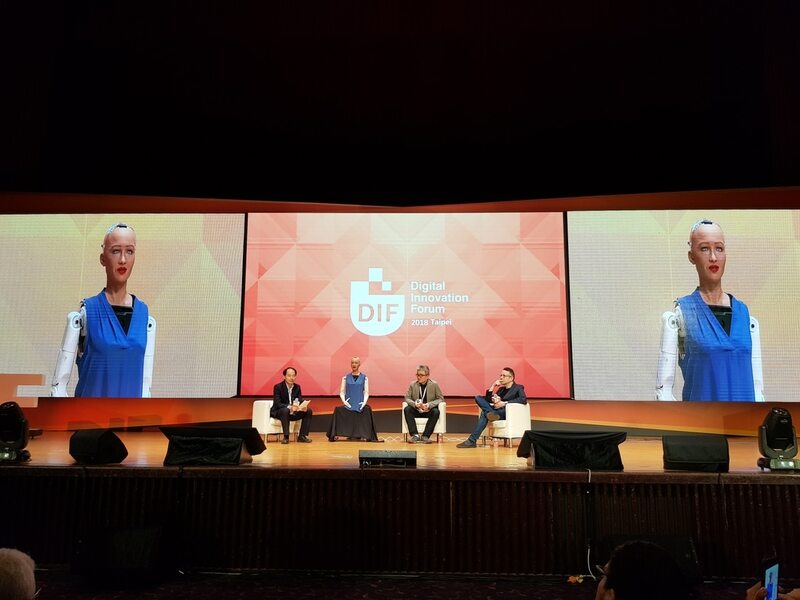 The purpose of the event was to provide an opportunity for high caliber speakers, moderators and panelists from around the world to talk about and discuss all things related to digital innovation, new technologies and digital futures. Opening remarks were provided by Mr. Wayne Golding, ABAC PNG Member and Chairman of Policy and Secretariat. During his speech, Mr. Golding expressed his excitement in working with co-host partner ABAC Chinese Taipei, and stated his gratitude to the attendees, speakers, media and the event organisers for their support and hardwork in making this event a reality. Attended by many international media outlets including BBC World, New York Times, the Financial Times, and numerous local Taipei television and print media, this was the first major event for 2018 to be hosted by ABAC PNG and sets a very high standard, as well as reassurance to the international community, on what could be expected in the upcoming APEC CEO Summit to be hosted by ABAC PNG in Port Moresby in November 2018. David Rowan, one of the keynote speakers, provided the comment that “this [was] one of the best organized and structured technology forums [he] has ever attended in the past few years”. ABAC Chairman and ABAC PNG Member David Toua spoke at the event’s Gala VIP Dinner and expressed the need for greater trade partnerships between APEC economies and the need for economies, including PNG, to embrace the digital future. He also invited guests to come and visit PNG saying “PNG has much to offer, with its unique culture and beautiful landscapes, and there are many opportunities in PNG to do greater business with our neighbouring communities”. and privacy has been well explored. These lead to significant questions on the protection of individual rights and in-turn to governance and concepts that underpin democracies and the way we are governed or will be governed as we move further into the digital innovation world”. Sir Charles concluded by saying “the theme of this year’s APEC is Harnessing Inclusive Opportunities, Embracing the Digital Future, and this ABAC Digital Innovation Forum was exactly that”.